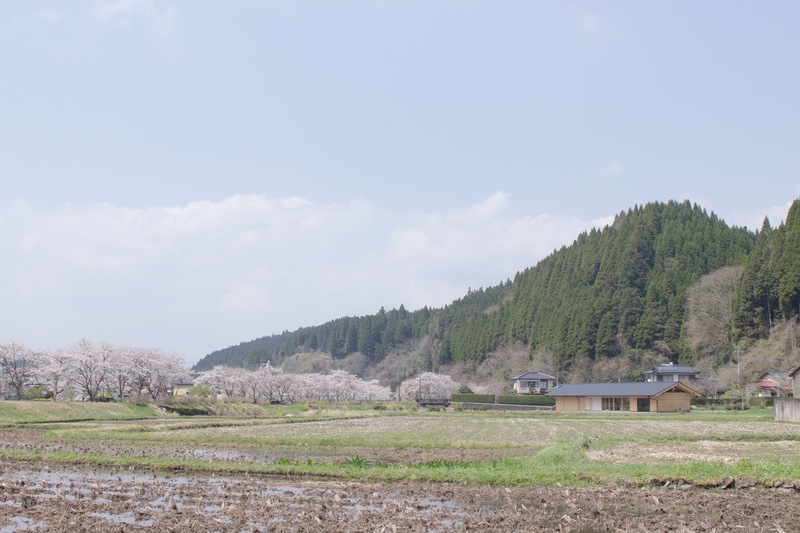 Aso District, Minamioguni, Kumamoto. 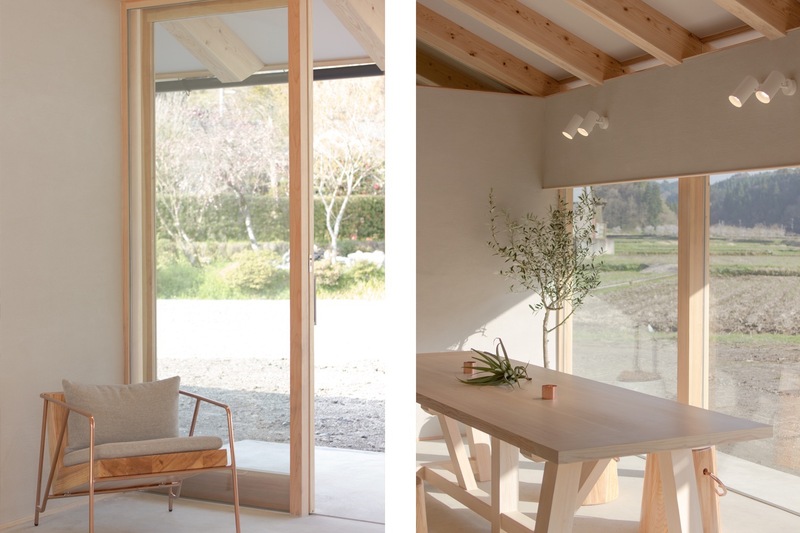 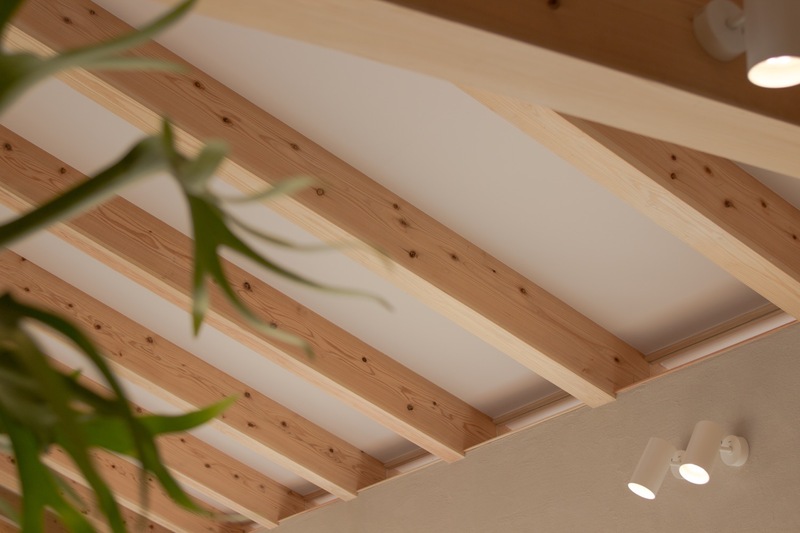 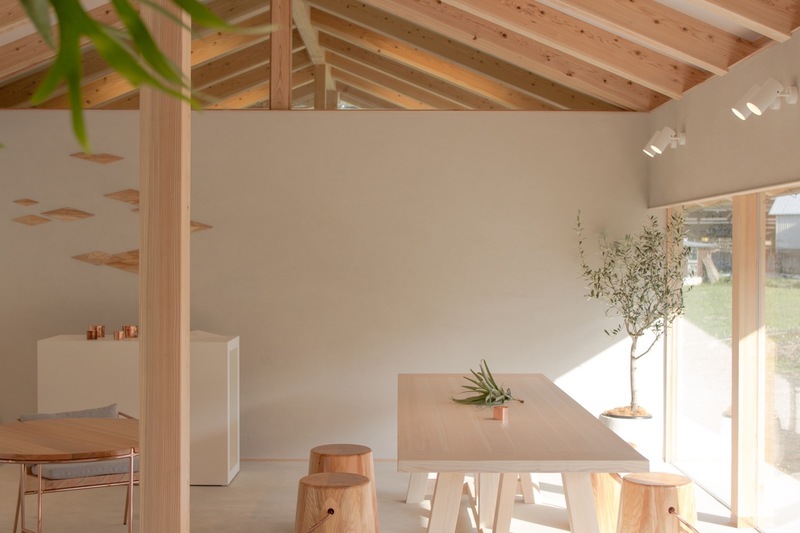 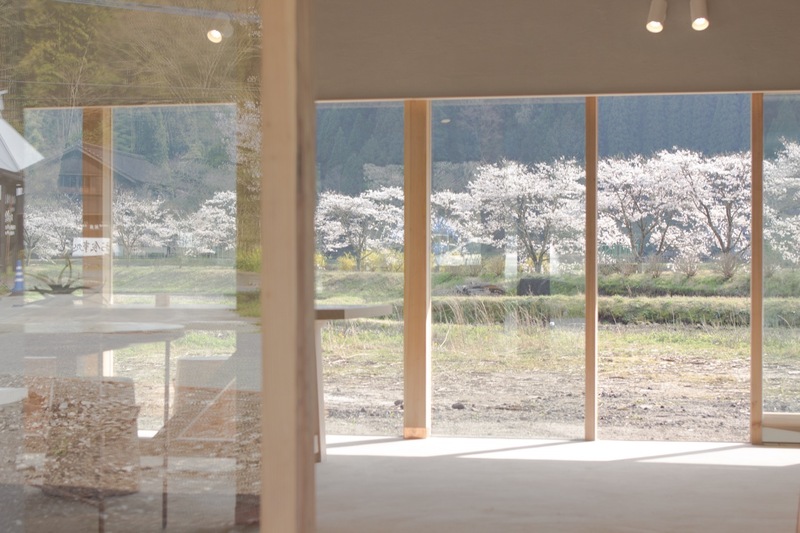 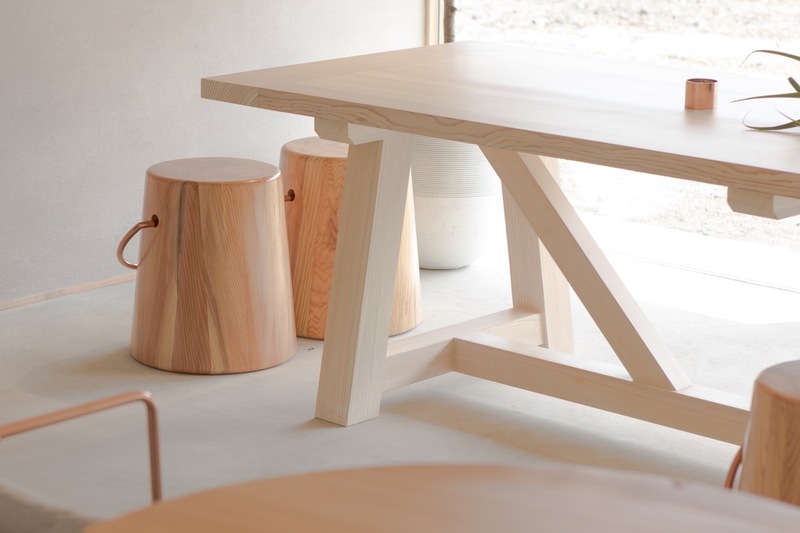 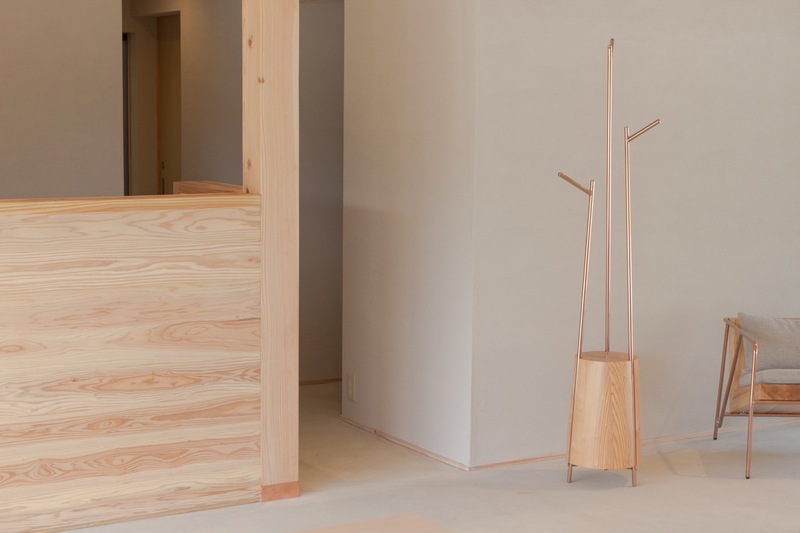 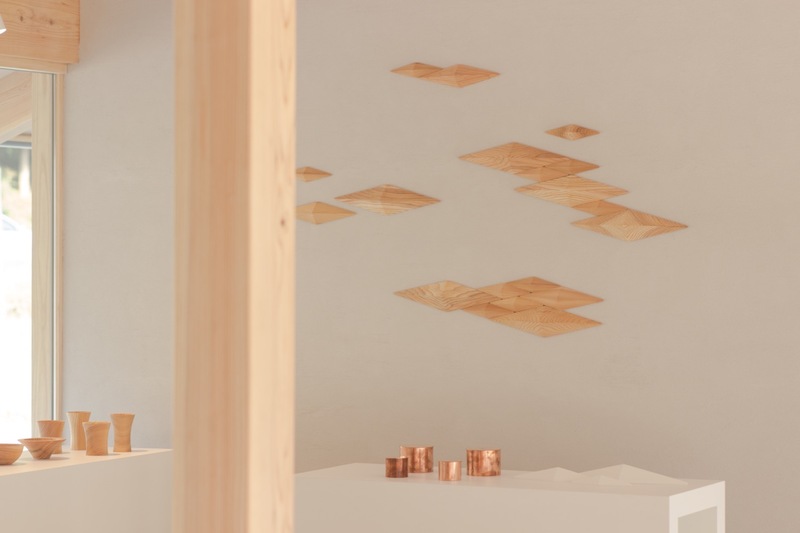 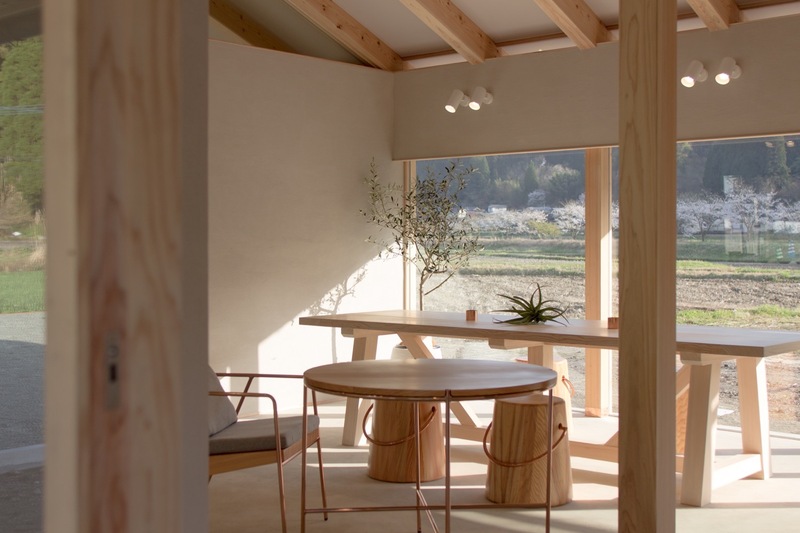 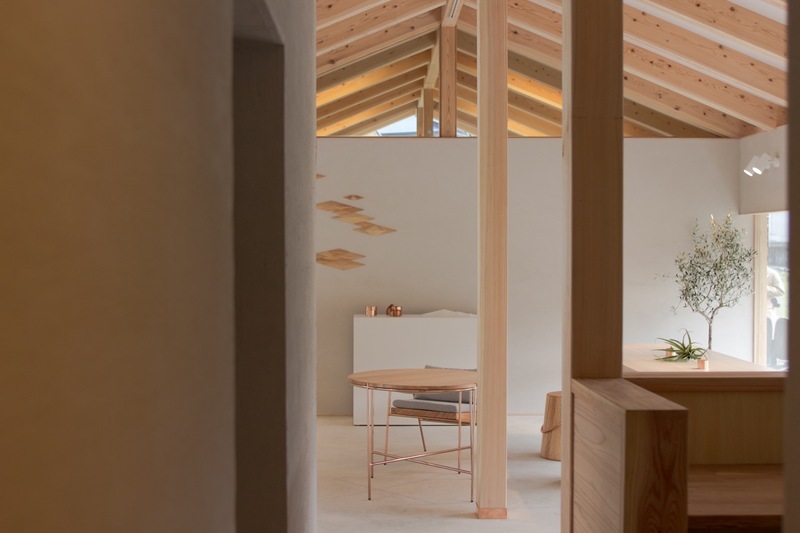 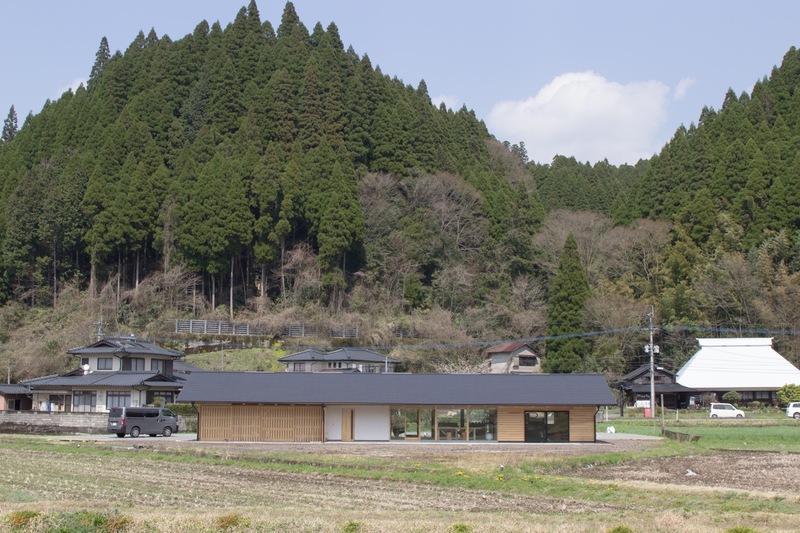 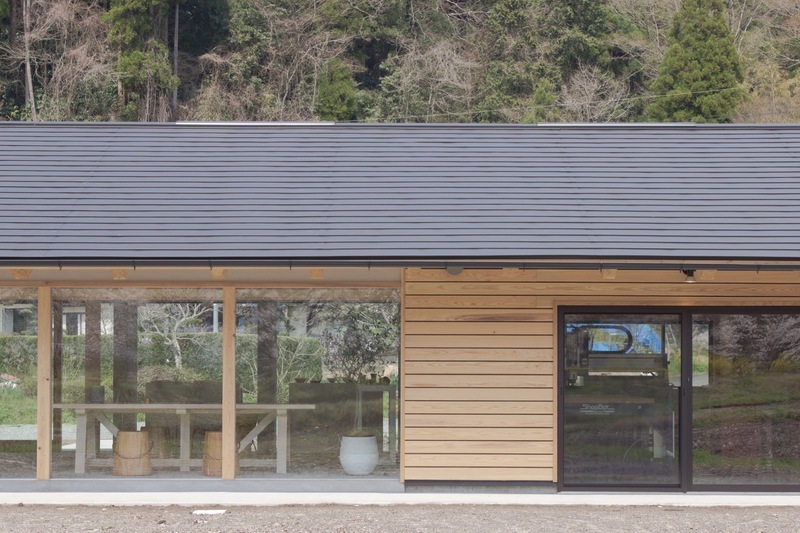 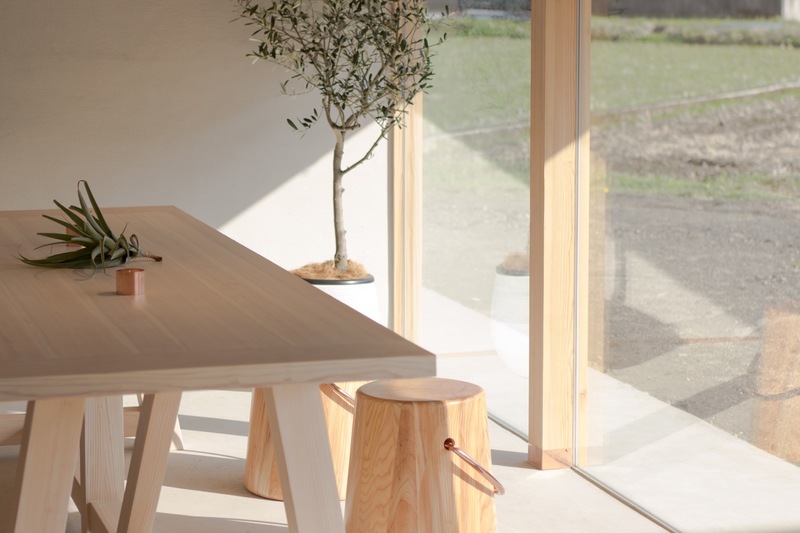 Foreque Corporation, a forestry company, has launched an interior lifestyle brand "FIL", making use of cedar wood which has been felled in order to protect the natural landscape, and opened a flagship store in Aso district, Minamioguni, in Kumamoto Prefecture. 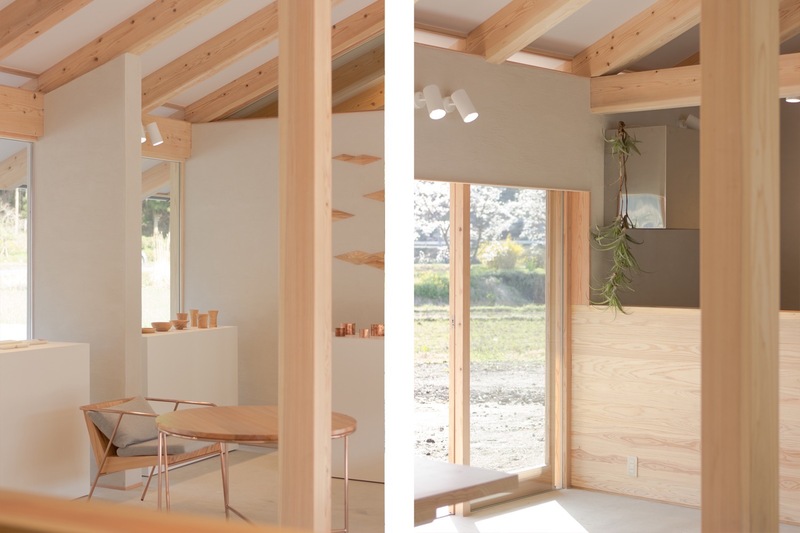 The store part of the space is designed to draw in the surrounding landscape, and makes use of the local Oguni cedar. 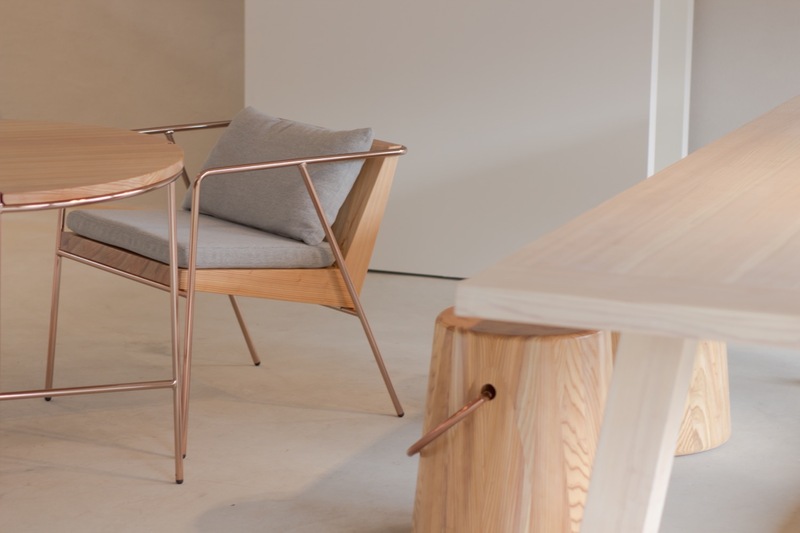 In order to bring out the redness of the cedar, FIL brand furniture constructed with a complimentary copper color frame is contrasted with it, and this creates a space which brings out the vitality of the cedar.